In rising rate environments, bond investors often ask what should i do i should have changed course. And how can i protect my income stream ? 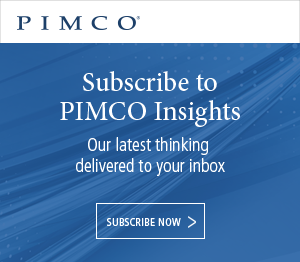 Pimco can help way our income experts pimco has been navigating up and down markets for more than forty five years. As long term investors, we believe rising rates are not something that long term bond investors necessarily need to fear. That's because wild bond prices typically fall when rates rise yields for those investments. Rise reinvesting into these higher yields can actually increase a bond portfolios overall return potential over time and importantly rising rates. Don't impact all bonds the same the bond market is exceedingly divers and global, so we believe investors should consider sticking with an active multi sector strategy that has the flexibility and resource is toe uncover opportunities around the world. Pimco income strategy does this and more seeking to deliver the benefits of our income experience to millions of investors worldwide. Since its inception, the strategy has looked to deliver consistent income and attractive returns for its investors by being defensive in challenging markets and opportunistic when it matters managed by pimco's award winning investment team, including group ceo dan ivascyn strategy was built to be resilient. The reasons to stay invested in bonds for income diversification and capital preservation remained constant and even his rates rise. Pimco income strategy will stay focused to help you stay on course.